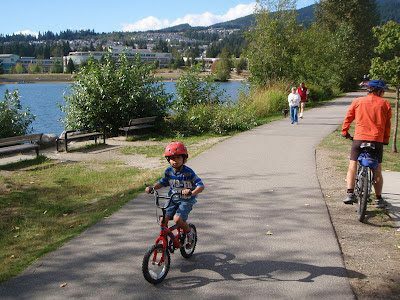 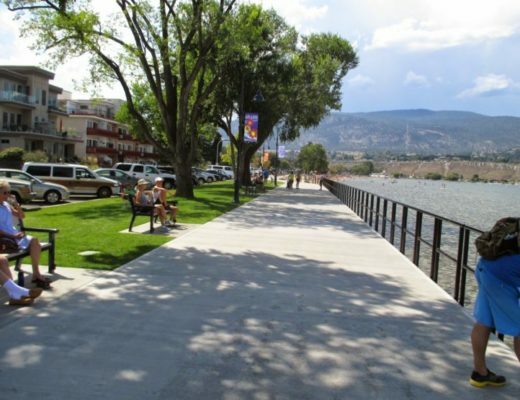 Town Centre + Coquitlam River – Let's Go Biking! 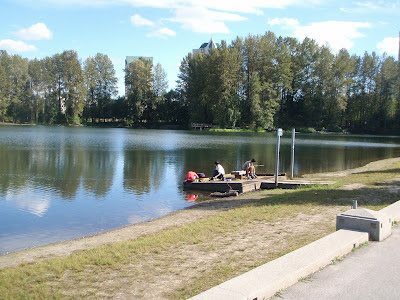 Town Centre + Coquitlam River – Let's Go Biking! 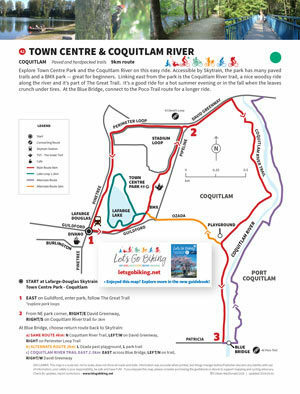 Explore Town Centre Park and the Coquitlam River on this easy ride. 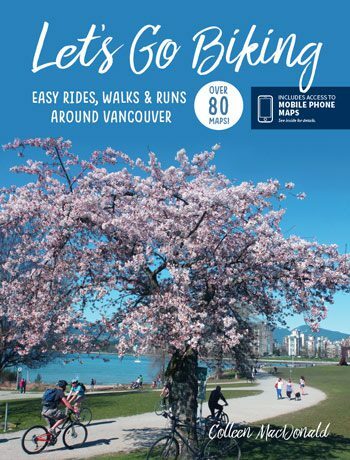 Accessible by Skytrain, the park has many paved trails and a BMX park ― great for beginners. 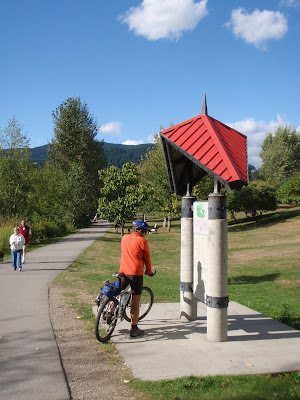 Linking east from the park is the Coquitlam River trail, a nice woodsy ride along the river and it’s part of The Great Trail. 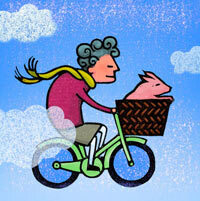 It’s a good ride for a hot summer evening or in the fall when the leaves crunch under tires. 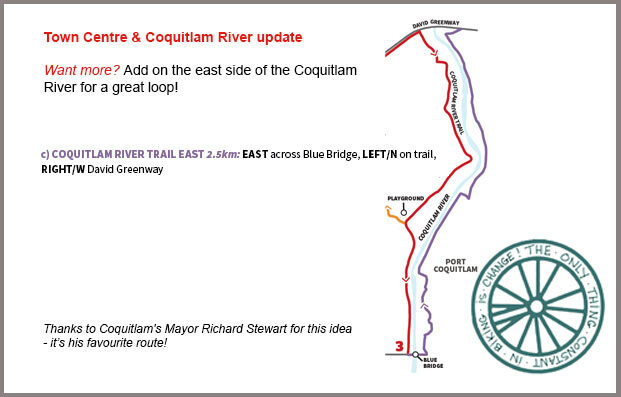 At the Blue Bridge, connect to the Poco Trail route for a longer ride.